I certainly do offer wedding albums. I only use the very best quality digital storybook wedding albums from a supplier that I have worked with for years. Wedding albums as standard hold around 70 images over 30 pages and come in a variety of sizes, from A4 and A3 to 30cm square. There are so many options when it comes to wedding albums I can't possibly do them justice by writing about them here. If you'd like to have a look at a wedding album for real, please get in touch to arrange a meeting by filling out the contact form. You can read more about my wedding albums by clicking here. Do you offer engagement photoshoots? Yes I do. 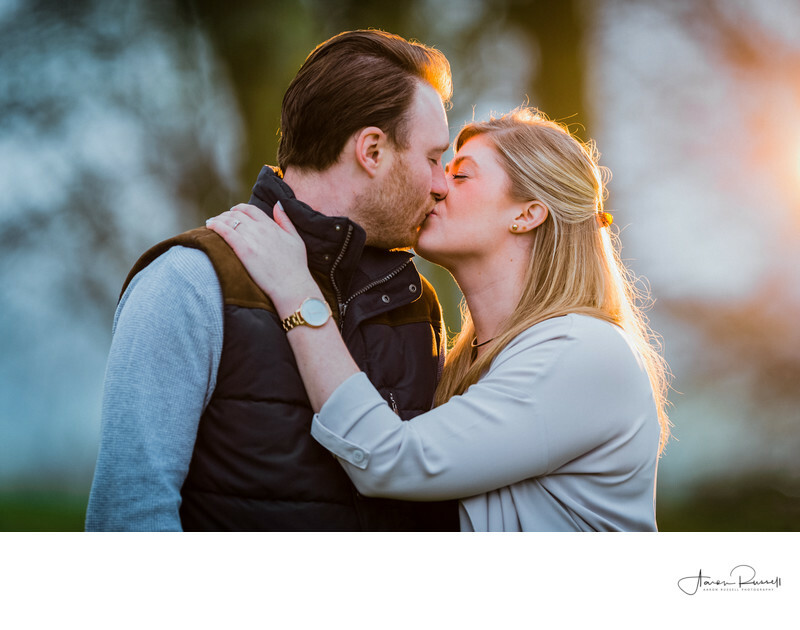 Engagement photoshoots are a great ice-breaker and a chance for you to get used to being in front of the camera. 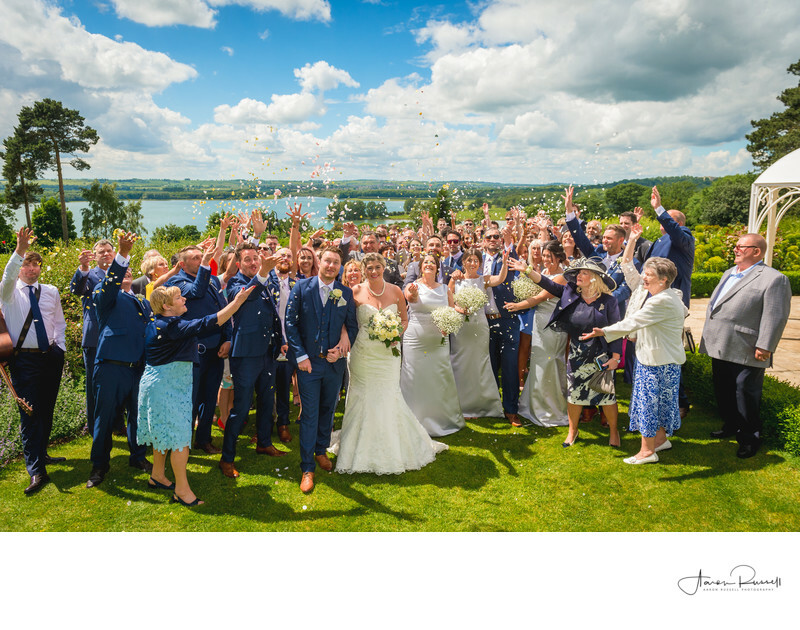 As well as this you can also use the photos that you receive on your wedding invites, wedding website or on a signing board on your wedding day. The engagement shoots last around an hour and cost £125. You can expect to receive 40 full resolution images which are yours to do with as you please. The photos are delivered by means of a password protected online gallery. The amount of time it takes to receive your wedding photos can vary depending on the time of year. During the summer months, in the middle of the wedding season the average turnaround time is six weeks. 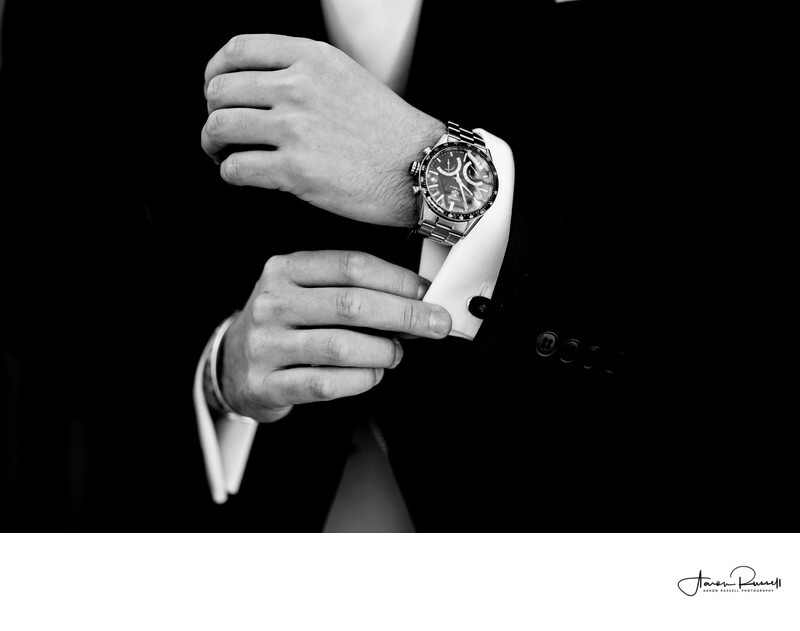 It can be as short as two weeks at off-peak times - the best thing to do is ask me around the time of your wedding for what the waiting time is. I can always send you a couple of photos the day after the wedding to keep you happy! This depends on many factors; how many hours I'm at the wedding, how many guests you have, how many formal photos you request and even the time of year - When it gets dark earlier a photographer becomes more dependant on flash. When you're not shooting with flash, you can shoot at 12 or 14 photos per second, but when you're shooting with flash your shooting speed slows as you have to wait for the flash to recycle. As a general rule of thumb, I usually deliver around 600 - 800 wedding photos. They are not - All of the files you receive are at full resolution and are free from all watermarks. This is true for both the files you receive on USB and the files which you, your friends and family can download for free from the online gallery I provide. Can some of our photos be delivered in both black and white and colour? I do not, but I can happily recommend people who do. Photography and videography, despite being recorded sometimes on exactly the same camera, are as different as chalk and cheese. I've spent many years becoming the photographer that I am today - I have spent no time studying video! I really love black and white photography. That stark contrast and lack of the distraction that is colour - but it's not for every image. There are some photos that just work in black and white, and on the other end of the spectrum there are images that just need to be in colour. During the editing process, there are photos that really stand out as needing to be in black and white, and it's not unusual that I'll think about taking a certain photo on a wedding day, knowing full well it's going to end up as a monochrome image. That being said, if I deliver a photo in colour that you'd like in black and white, or vice versa, just let me know and I can send this over to you. Yes I do. I look through every single wedding photo that I take and judge every one on it's merits. Every images is hand edited by me, to my style. It's a hard job - for every hour I spend at a wedding I spend 3 hours editing! I use Capture One 12 Software for editing. 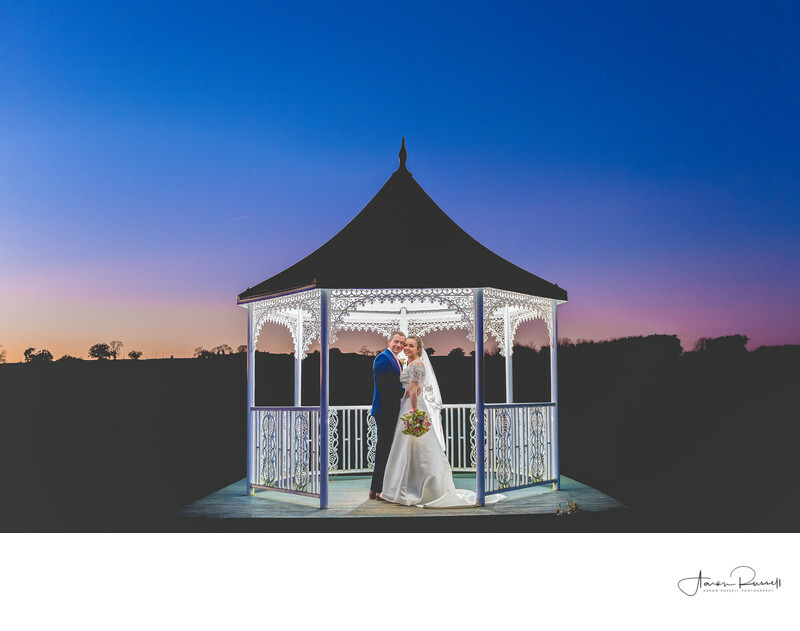 This is an extreamly complicated and High End Digital Darkroom that allows me to truely bring out the colours from your wedding day keeping them true to life. But software is nothing without the right hardware to back it up. To ensure the colours are true and accurate I edit the digital files on an Eizo CG277 Colour Calibrated Monitor. This monitor is an investment of £1600 just to display the images on and is recognised at being one of the very best monitors money can buy for photo editing. I also work in a controlled enviroment in my office at home to ensure my colour workflow is not compromised in any way by yellow fluorescent lighting. My monitor has colour calibration lookup tables built in and performs weekly calibrations automatically. So what does this all mean? sRGB is what your monitor can see. Adobe RGB which is what I shoot and edit in. It can see 35% more of the colour space of a typical monitor. This allows me to bring out the very best of every digital file I work with ensuring the photographs I deliver to my clients are of the hightest quality possible. When I convert my images for delivery the images are resized for the web on the sRGB colour space to ensure they look correct on your device (depending on the device screen quality) and print versions calibrated for Fujifilm photo paper to ensure super high quality prints. Do you take staged family photos? I do. You don't have to have them, but I appreciate that it's perhaps still the most traditional part of wedding photography. I often hear horror stories of 'wedding photographers' taking 'over two hours' for the formal photos and that makes me wince. Ideally I'd like to have the formal photos out of the way in 45 minutes, with an addition 25 minutes for the photos of you with your new husband or wife. Aim for an upper limit of 10-12 formal photos to make sure the day doesn't stagnate too much. Sometimes I do and sometimes I don't. The majority of weddings that I photograph, I do on my own. That's not to say that there aren't valid reasons for wanting a second photographer, it's just that the vast majority of the work I've undertaken thus far I have managed alone. If you would like to discuss your options when it comes to having a second wedding photographer, feel free to get in touch by filling out the contact form. Absolutely, in fact, I encourage it. The only request I have is that they don’t crowd around me when I am photographing the formal photographs as people in the group will not know who to look at and this may have a negative impact on the quality I can deliver to you. I welcome cameras during the dance and cutting of the cake and other events during the day, however I just kindly ask that they please don't push me out of the way and respect my presence. Can we provide you with a 'shot list' or 'must take pictures'? Other than family groupings, I’d prefer that you didn't - but please let me explain why! It’s very helpful to me to know the important relatives and friends coming to your day and if any events bear particular special significance. However repeated requests for posed images and working "through a checklist" is counterproductive and actually, prevents me from capturing the images you have seen on my website. Let me explain further. If I work through a "checklist" I will not be in a position to capture the wonderful moments you see on my website which would have resulted in the moments being lost forever! Can we see the outtakes and all of the images that didn't make the final cut? I only deliver the images that meet my very high standards. If the flash didn't fire, or someone's eyes are closed for an example then after careful consideration these will not be archived. Absolutely yes, 100%. Yes, yes, yes! I operate with £5 million of Public and Liability Insurance as well as having all of my equipment covered. Can you provide my venue a certificate of insurance if they ask? I always keep a PDF copy with me at all times. You can view and download the insurance certificate here for your venue if you need to. Wedding photography is possibly the most difficult "genre" to photograph. I learned about timings on the day, where I need to be, how to shoot in difficult lighting conditions etc with another professional wedding photographer before I took the step to work on my own. Once I knew I could successfully cover one of the most important days in a couples lives together I started my business in 2012. In that time I have successfully been looking after many happy clients. I have photographed well over 150 weddings. I'm so sorry, but I can't hold the date and pencil you in. I book weddings on a first come, first served basis. Bookings aren't confirmed until the retainer is paid and a contract has been signed. The retainer fee and all monies paid are non-refundable. The retainer guarantees that I'll hold the date exclusively for you and once you've signed a contract I do turn down all other commissions for that date. It would be very kind if you did but it’s not a requirement. However feeding me ensures I stay cheerful, mobile and that I don’t faint from starvation, or end up eating something thats seen better days in my camera bag since 2012. I prefer to eat when you eat, not afterwards, because when you’re eating you’re not at your most photogenic and when you're done, I’m done and we can continue your coverage on a full tank to keep going into the evening. I do bring my own food and water to weddings but a hot meal is always a lovely treat during a very busy and long wedding day!